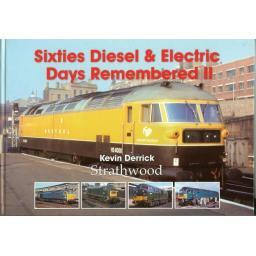 Follows the successful format of the first volume once again packed with gems of long withdrawn types filmed in glorious colour during the 1960s, many in long forgotten liveries. All presented to their best in a large format colour album, truly collectable. Chapters include: Almost Factory Fresh, Western Rover, Troublesome Type 1s, North of the Border, Sulzers on the Midland, Blue is the Colour, English Electric Medley, Blue Pullman Elegance, Under the Wires, Old Oak Revisited, Eastern Delights.